I love this necklace it's perfect for me. Faith and fashion meet in this dazzling diamond design. 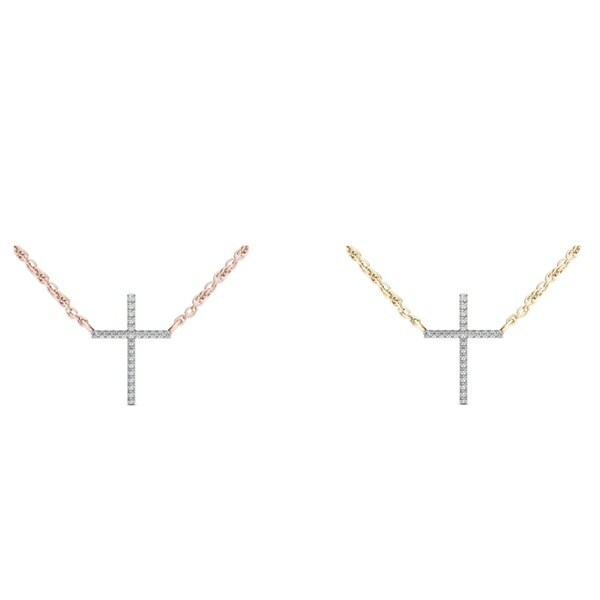 Crafted in gold, this traditional cross is completely outlined with a glittering array of shimmering diamond accents while the 18.0-inch rope chain necklace secures with a spring-ring clasp. All weights and measurements are approximate and may vary slightly from the listed information.*T.W. (total weight) is approximate. 1/10 carat T.W. may be 0.08 to 0.12 carats. Treatment code N. See Treatment Guide for further information. Since this item is made to order, please allow 4-6 weeks for production time and quality checks before the item leaves our warehouse. You may only cancel a made to order item within 24 hours of submission. Due to the unique nature of this product, we are not able to accept returns. For additional return information please contact our customer service team.